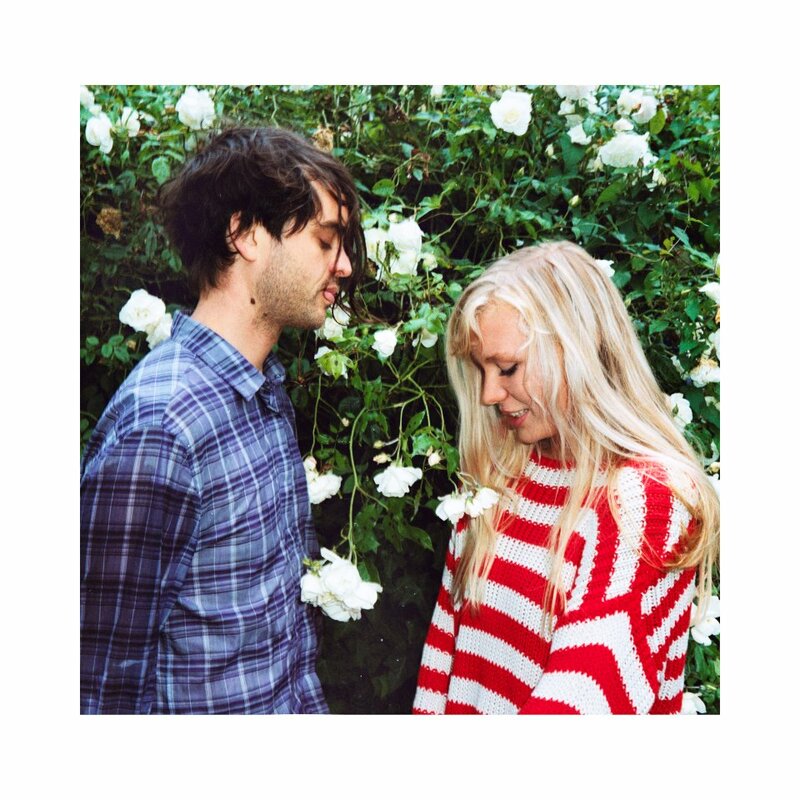 I recently had the privilege of talking to both Kacey Underwood and Alice Costelloe, the duo behind the American/Brit band, Big Deal . We chatted about their journey in forming as a band, their scheduled SXSW performance, the debut album 'Lights Out', the Breaking Up and Falling In Love feel to the album, and the bands new found love for Ikea. They also offered some advice to fellow musicians and continued to give us a little insight on a few bands to keep an eye on. JB: What is the story behind the creation of Big Deal? Coming from two different parts of the world how did you meet? ALICE: Kc came over to England to study and so naturally ended up being in a band. I was in a band too, and the deterioration of both our bands happened to coincide as we were becoming friends. That makes it sound like our friendship is really destructive, it's not really.. we'd both just been struggling with the other bands for a while. We'd started sharing song ideas with each other which one day turned into writing a song together, which sounded ok so we decided to carry on and had a very stressful time making sure Kc was actually allowed to stay in the U.K so that we could continue what we'd started. JB: Your debut album ‘Lights Out’ has a certain connection or intimacy feel to it. How do you describe the albums feel? KACEY: I think that isn't necessarily a result of the instrumentation, though it certainly forces you forward in the sense you have no where else to go but use the songs melody and meaning. We wanted to keep it like our bedroom demos but with a better sonic quality. JB: I almost get the feeling that ‘Lights Out’ is the perfect breakup album, but then I take another listen and think it is the perfect falling in love album. Any insight on which would be correct? ALICE: Maybe it's the perfect album for falling in love whilst breaking up at the same time ? That's pretty painful. I don't think there's one set way to hear it. Hopefully, it means something different to everyone, so they hear it the way they want, that's relevant to them. JB: What was the album’s recording sessions like? KACEY: They were really focused. We were still balancing jobs and school so we knew we couldn't mess around too much, though there was a bit of that too as we we recorded it with our friend Dean Reid. It was fun and scary at the same time but mostly a big relief to get our songs out for real. JB: The single ‘Chair’ offers some sincere lyrics, was there anyone in mind while writing this song? ALICE: Yes definitely. We were thinking of ways to make some money and thought....'chairs'....'beds'.... let's get ourselves a deal with Ikea! The song will feature in adverts for their spring chairs and outdoor furniture campaign, we're really happy to be part of such a renowned establishment. JB: You are set with a date for SXSW in March, How does your live sound differ from that of the studio? KACEY: Not very much at all, as when we recorded we wanted to be able to achieve the same result playing live without having a computer or other musicians onstage. I think the way it feels is very different though but a lot of that depends on the crowd. JB: With music overload on the internet these days - what type of advice do you have for other bands trying to make it? ALICE: Play live lots. Out of the million bands on the internet, playing a good live show separates the great from the mediocre. There are plenty of kids who can make a decent song on their laptops, but whether they can convey it well live is a whole different ball game. So if new bands can learnt to do both then they should start to get some well deserved attention. JB: We run a feature on Fake Plastic Tunes titled “Play It Forward” where we try to share new music with others. Any new, under the radar bands that you would like to share and others should be on the lookout for? KACEY: We end up listening to a lot of bands we play with or tour with. SCUM, Weird Dreams, Paws come to mind. Milk Music who we haven't played with but I like them.